Credit goes to my wife for spotting this one. 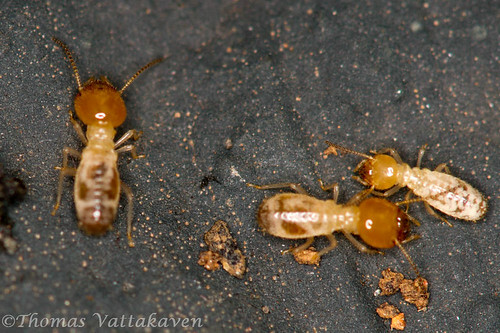 Here are some termites, whose nest was damaged when a log of wood was moved. 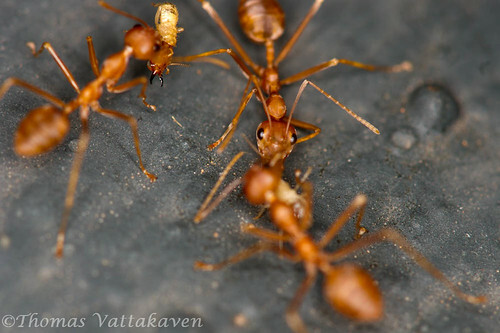 Most of these are workers. 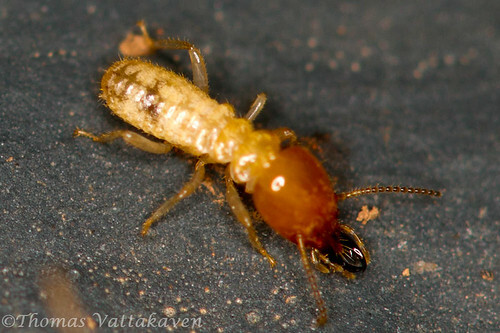 This one below looks like a soldier termite. 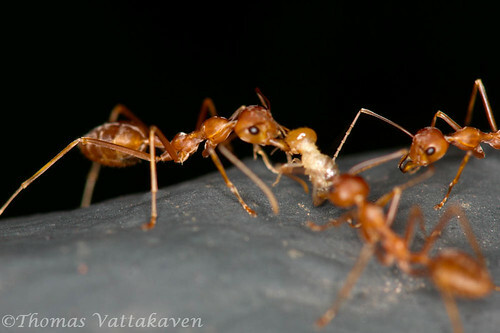 The soldiers have special adaptations which give them better strength and armour against ant attacks. 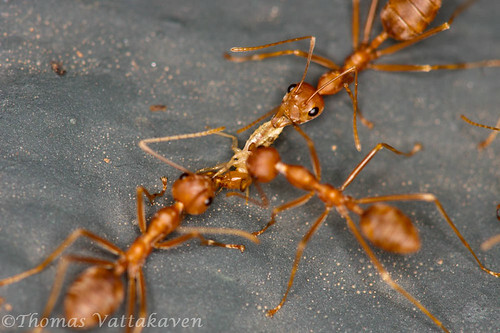 Some of them have their jaws enlarged and cannot even feed themselves and have to be fed by the workers. 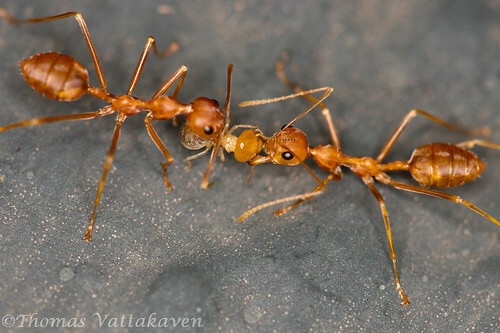 ….and here are some weaver ants…. 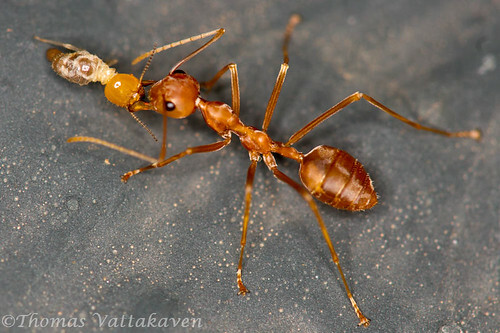 These ants are really aggressive, especially when near their nests. I`m afraid, it was a no contest!! 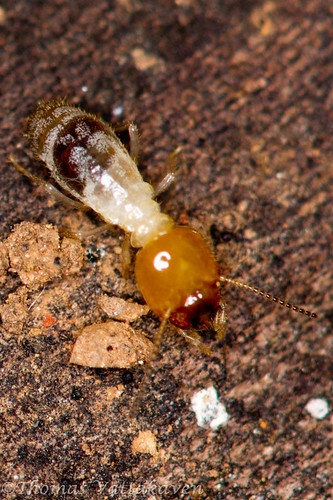 The slower, smaller, weaker and fewer termites just didn't stand even half a chance. It was a complete slaughter! So much for war! 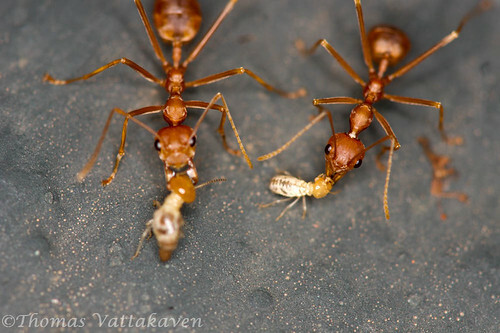 The reality is that the termites always end up as losers. 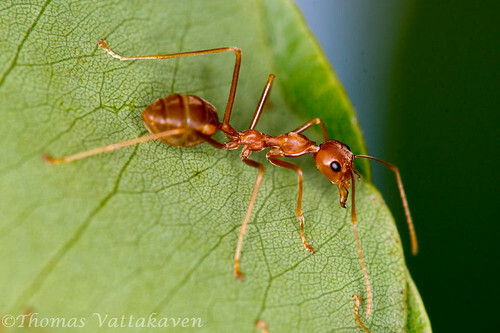 Most of their adaptations are not meant for offense against ants, but as defence against them. 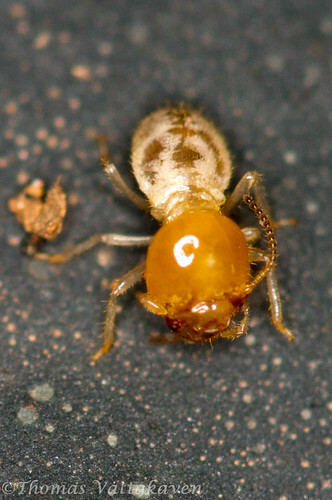 These enable the termites to keep out the ants from invading their damaged nests and hold on for as long as it may take the termite workers to defend their nests….and even this involve a lot of sacrifice by the termites…the soldiers will often end up outside as the nest is built and sealed behind them, leaving them as sure prey to the ants! Gripping! At the end of it I was all for the underdog (or is it undermites?!). Poor buggers...but that was until I was reminded of all the stuff they've destroyed at home over the years! :) But pity their plight either way. Them soldiers especially. Wow, nice account. 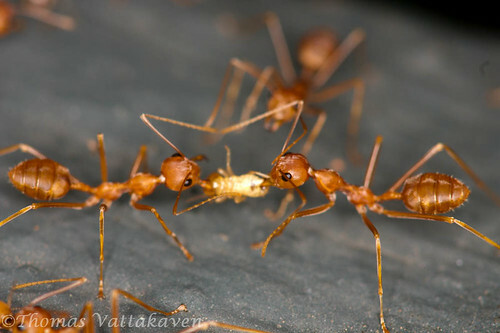 Please post it on InsectIndia group. I am sure all members would enjoy it. he he, Chacks, i wished there was a better ending too, but i guess thats not going to happen. @Vijay. Thanks Vijay, I`ll send out a mail with the link. 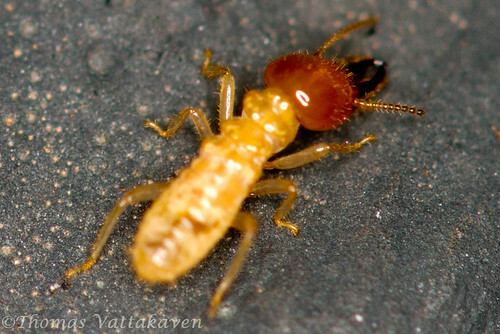 Those termites are really annoying. This article is very informative and precise. Good job! 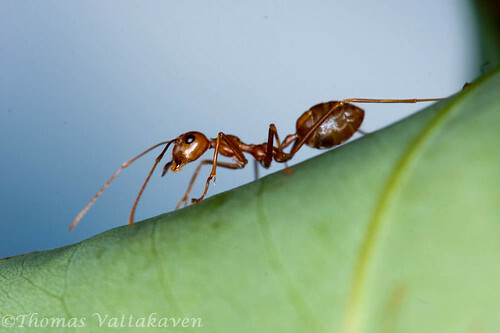 Yay for the Ants! 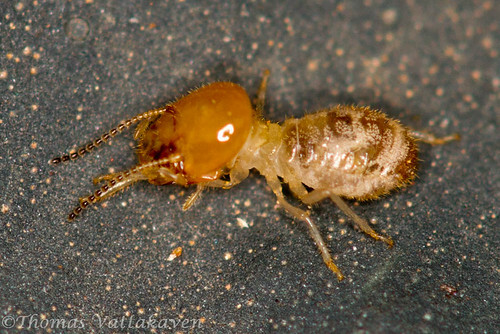 Natures perfect working unit..
Termites These ubiquitous wood-feeding insects are social descendants of cockroaches.